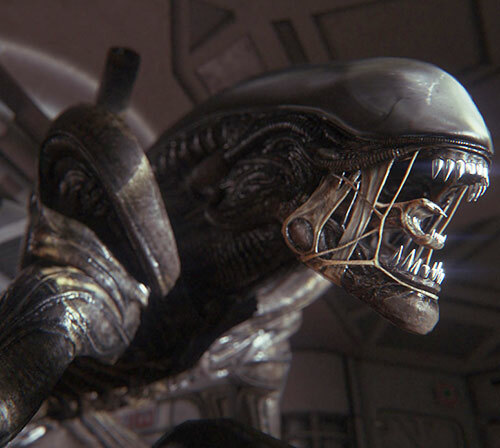 These murderous extra-terrestrial creatures first appeared in the movie Alien (1979), and its sundry sequels. 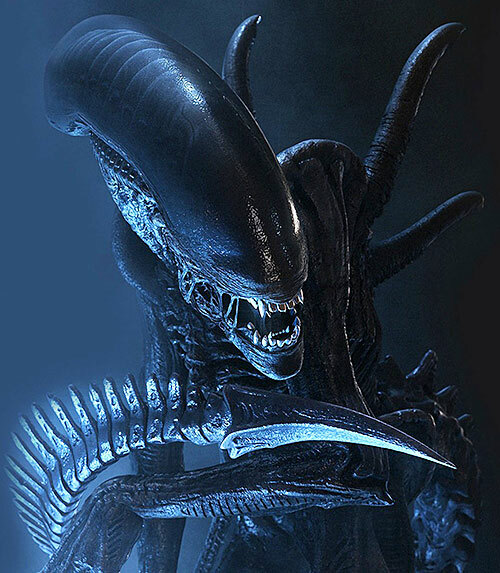 They are often called “xenomorphs” – technically the term can mean any alien, but the word is strongly associated with this movies franchise. The visual designs were famously done by Swiss artist H.R. Giger , as is readily apparent for anyone familiar with the rest of his work. For obvious reasons it is best to first read our profile for facehuggers, the prior life stage of xenomorphs. Aliens are fairly agile, an advantage that is increased by their ability to cling to most surfaces and their prodigious leaps. Their partially silicate structure provides them with considerable strength, enough to fatally injure a human being with a single blow or tear light steel. For this same reason, their armored exoskeletons are very tough, being able to deflect small arms fire at oblique angles and provide above-average resistance to extremely high temperatures. However, once compromised their internal organs are somewhat fragile. Indeed a sufficiently violent impact (such as a machine gun burst) may shatter an Alien’s body due to its crystalline structure. While they do not see light in the visible spectrum, they do have many other advanced senses including infrared vision and extraordinary hearing. In addition to providing a balance weight for their acrobatics, the Aliens’ tails have stingers that can inject a paralyzing toxin into grappled prey. This helps take them back to the hive with minimal struggle. They sometimes attack their prey with a secondary jaw that can extend approximately 12 inches out of their mouth, striking much like a Terran rattlesnake (note: this can be represented in game mechanics as a standard Critical Blow as it is usually aimed at a target’s head). Much of the ubiquity of the Aliens is due to their remarkable ability to survive in most environments. In addition to their previously-noted protective advantages, they can function in most any atmospheric or liquid environment and can even continue to function in vacuum for brief periods. If conditions are too harsh or no prey is nearby, the Aliens will go into hibernation until conditions change. Though they are not self-aware in human terms, they are highly cunning and display disturbingly intelligent predatory behavior. They will carefully maneuver to cut off individuals from a group before attacking and will often try to kill any alpha (the group member perceived to be dominant). The origin of the Aliens is unknown. It is not even certain whether or not the Aliens are a natural lifeform or if they are the product of genetic engineering by unknown, probably non-human, parties. The first recorded contact with the Aliens as an infestation aboard a ship piloted by another alien species. They were presumed to be cargo aboard that ship, though that assumption may be erroneous. Humans have visited a planet that may have been the Aliens’ homeworld in at least one account, but these events may have been apocryphal and even if they did occur the planet in question may not have been the Aliens’ true place of origin. Though they have no technology to speak of, the Aliens have been encountered on many different occasions on a wide range of worlds and starships because of their incredible ability to infiltrate and infest populations. Aliens are 2-meter tall, glossy insectile/biomechanical beings. Aliens are usually black, but may sometimes be a dark reddish brown. They take on the general body type of the their host (humanoid, quadrupedal, etc. ), but always have an elongated skull (shaped like an upside down canoe, sometimes smooth, sometimes ridged like an exposed spinal column) and a long skeletal tail. Aliens usually have four S-shaped tubular spines on their back in parallel rows of two. The function of these spines is unknown, but may be part of their resin-secretion. Their teeth are chrome-colored, as is the cartilaginous “tongue” that they can extend from their mouth. As noted in the Facehugger write-up, an Alien adult begin its life cycle as an implant in a host. When an embryo reaches maturity — usually 24 hours after implantation — the Alien tunnels its way out of the host’s body. The so-called chestburster grows rapidly, reaching full size (roughly equivalent to a large human) in a matter of hours. A Chestburster will avoid contact with other lifeforms until reaching maturity, but it will explore its environment as much as possible. Thus, by the time it reaches adulthood or soon afterward, it will be completely familiar with the surrounding area. Once mature, an Alien adult’s behavior varies depending on the situation. A single Adult with no other Aliens nearby will capture hosts one by one and inject them with a special enzyme that turns them into Facehugger eggs. An adult that senses embryonic Aliens nearby will do the same, while protecting implanted hosts until the Chestbursters are born. 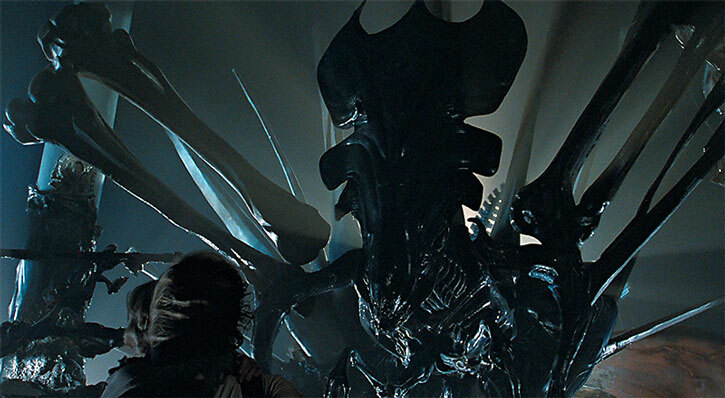 In either case, one of the eggs will mutate into a Queen Facehugger egg, thus eventually establishing a hive. If a hive already exists, the adult will head toward it to join the swarm. Once an adult Alien joins with or builds a hive, its behavior from then on becomes fairly simple. Its first priority is to protect the hive. Its second priority will be to capture suitable hosts for implantation. The Aliens have had crossovers with several other universes, including the DCU. Batman, Superman, and Green Lantern have encountered the creatures on numerous occasions, both on Earth and on planets as far away as Apokolips. Acid and its Sharpness represent the Alien’s “blood”, so it only attacks at a range of touch and only when 1 or more RAPs of Killing Damage have been inflicted (-2FC). If enough RAPs of Killing Damage are inflicted to drop an Alien to -4 APs of Current Body in a single attack, Acid attacks everything in a 0 AP (10‘) radius (+1FC). As usual with the Acid power, metals have a -1CS Penalty to their RV (+0). Analytic Smell, Sonar, and Super Hearing are also used by the Aliens to communicate among themselves by means of pheromone emissions and ultrasonic noises (+0FC). Invisibility only works against Thermal Vision (-2FC). Poison Touch can only be used upon a grappled victim, and only inflicts Bashing Damage, i.e. puts them to sleep (-1 FC) ; Poison Touch can only be applied by a successful strike with the Alien’s tail (+0FC). Sealed Systems also allows the Alien to filter gaseous atmospheres for breathing purposes, allowing Sealed Systems to last indefinitely as long as oxygen is available in whatever atmosphere they are breathing (+2FC). Snare takes a few minutes to apply as the Alien secretes resin from its body, so it is only used on targets that have already been immobilized (-2FC). Due to the composition and texture of the walls in an Alien hive, anyone trying to spot an Alien in a hive suffers a +2CS to OV/RV of the Perception Check. Aliens will usually remain motionless as long as feasible in a hive, allowing their potential prey to get further inside. Area Knowledge (Hive and/or surrounding area), Lightning Reflexes. Misc. (Nonsentient), MPR (Blind), Strange Appearance (Aliens have an effective INF/AURA of 3 for this purpose, total 35 points). While the Aliens are blind in the visible light spectrum, this is only a Minor Physical Restriction since their other senses are usually more than adequate compensation for this shortcoming. The Adult Alien starts life as a Chestburster. When the embryo is mature, it starts trying to tunnel out of the host’s body (hence the term Chestburster). This attack has an AV/EV of 5/5 vs. an OV/RV of the Host’s BODY/BODY and the host cannot spend HPs to increase his OV/RV nor for LDD; once the host’s Current BODY drops to -BODY APs, the Chestburster breaks free. If the Chestburster fails to gain RAPs for 3 consecutive rounds, it is presumed to have been killed by the host’s immune system or other bodily defenses, as seen Superman vs. Aliens. The Chestburster uses the same stats as the Adult, but with 5 APs of Shrinking and Running: 3 (ignores Shrinking movement modifier). After emerging the Chestburster grows at an incredible rate, losing 1 AP of Shrinking every half-hour (9 APs) until reaching full-size. Some reports, possibly apocryphal, suggest that an adult Alien can actually transform captured hosts into Facehugger Eggs if there is no hive nearby when said Alien reaches maturity (as shown in one of the original Alien movie’s deleted scenes). Hosts being transformed in this manner will be conscious but immobile while their biomass is being altered and can even talk coherently to others — the paralytic toxin used to immobilize them also seems to dull their thinking and thus ameliorate the otherwise sanity-breaking horror of their circumstances. Shape Change is only usable on others and can only take place after Poison Touch successfully knocks out a victim. Shape Change tests against the host’s BODY; successful RAPs indicate that the host begins turning into a standard Facehugger egg. This process takes one day (15 APs) to occur, during which time the host mostly remains unconscious. This is only done under special circumstances (see last paragraph of “Powers” section)(3xBC, +5FC). Whether the Aliens are considered animals for purposes of Mental Powers such as Control is up to the GM, but there should be some additional difficulty regardless due to the Aliens’ extremely unusual physiology. 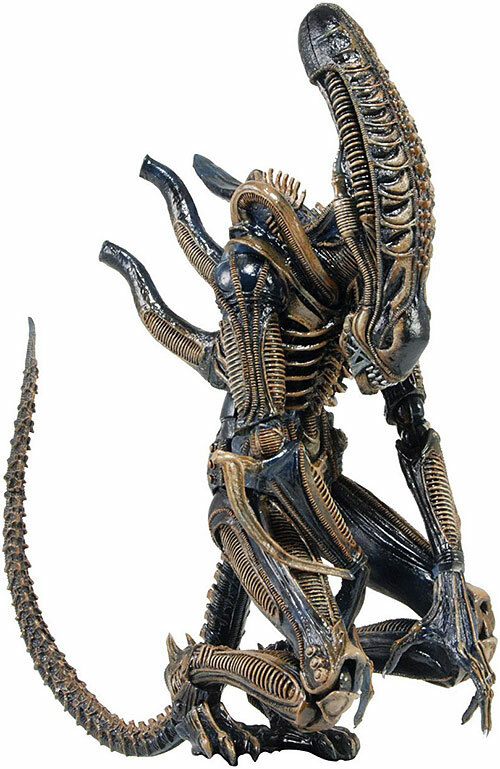 Runner Alien (Alien3) — This Alien was hosted by a dog. As a result, it had a quadrupedal stance and no spines on its back, making it harder to hit by enemies. The Runner was also slightly weaker but more agile than a standard Alien : DEX 07 STR 06, Shrinking: 01 (affects OV only). Praetorian Aliens (Aliens vs. Predator 1 & 2 PC games) — Larger, stronger, and more resilient than the more common breeds, the Praetorians are also much rarer. They are usually encountered near the center of Hives, functioning as the “royal guard” of the Alien Queen. They are recognizable by their horned crests (halfway between a normal Alien and the flared head of a Queen) and their hoofed feet : DEX 05 STR 08 BODY 06, Skin Armor: 04, No Cling. 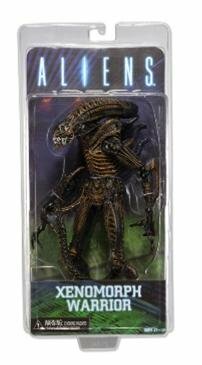 Predalien (Aliens vs. Predator 1 & 2 PC games) — This nightmarish creation was the result of an Alien implanted in a Predator. The resulting adult Alien was actually somewhat slower than a standard alien, but much stronger and tougher. Predaliens have the same chitinous shell as normal Aliens, but their skin tones are the mottled beige of a Predator rather than the usual shiny black of the Aliens; this means that Predaliens get no stealth bonus for blending into the textured walls of a hive. Predaliens also lack the secondary jaw that most Aliens possess : DEX 04 STR 09 BODY 07, Jumping: 03. Cloned Aliens (Alien Resurrection) — These Aliens had human DNA integrated into them in an unusual way due to Dr. Wren’s experiments. As a result, they were somewhat smarter and even demonstrated an unusual capacity for abstract thought (such as tactically sacrificing one Alien in order to use its acidic blood for escaping their cage, as well as setting Facehugger “traps” in the path of the escaping crew) : INT 03, Drop the Nonsentient Drawback. Cyborg Alien (Aliens vs. Predator PC game) — Weyland-Yutani experiments in combining cybernetic weaponry and armor with Alien biology resulted in these Frankenstein’s Monsters. They could take an extraordinary amount of damage compared to normal Alien drones and had formidable laser weapons, but these advantages did not make up for the profound loss of speed and maneuverability that the cyborgs suffered. Thus, the experiment was quickly abandoned : DEX 02 STR 09 BODY 06, Laser Beam (No AV): 11, Skin Armor: 05, No Cling or Jumping, Accuracy (Laser Beam): 03. Any metahuman Powers possessed by the victim of a Facehugger may be passed on to the adult Alien. One example was an Alien that gained Flame Project from being implanted in Fahrenheit of StormWatch (WildCATs/Aliens). Note that a Facehugger will probably not implant any creature smaller than a chimpanzee or large dog, nor any animal larger than a bison. 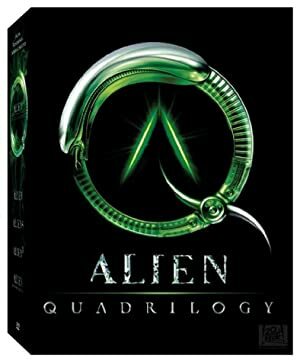 Source of Character: Aliens quadrology (movies), numerous comic appearances. Helper(s): The Anchorpoint Essays , Sébastien Andrivet, Mark Ayen, Morgan Champion, John Colagioia, Phil Dixon, KalEl el Vigilante, Dr. Peter S Piispanen, Ethan Roe, Tobie.